Tick an item off your bucket list and do some good at the same time – Gulf 4 Good’s 2018 challenge list is here! Nepal. Bhutan. South Africa. Zambia. Sound like a list of countries you’re dying to visit? Make 2018 the year you score at least one of them off your to-do list with Gulf 4 Good, which has just unveiled its 2018 challenge list. The action kicks off in March, when the team will head to South Africa’s Wild Coast for a week-long trek to raise funds for Friends of Chintsa, a community action group working for positive change in the region’s education and environment sectors. Funds raised will go towards the construction of both a crèche and a soup kitchen. In April, challenge participants will have a chance to get up close and personal with British adventurer and record breaker Adrian Hayes, who will be leading the Land of The Thunder Dragon trek through Bhutan. Part of his Personal Growth Programme, the adventure will take in a host of temples and mountain towns and will raise funds for Mission Himalaya’s Children’s Eco Home & Farm, which cares for orphaned and abandoned children in Nepal. Also taking place in April is an adventure centred around the glacial lakes of Everest. Billed as the toughest challenge G4G has undertaken to date, it’s not for the faint-hearted – but it promises some truly mind-boggling scenery in addition to the opportunity to raise funds for Nepal’s Street Child charity, which is building five new schools for children who would otherwise have no access to education in the country’s Brick-Kiln communities. 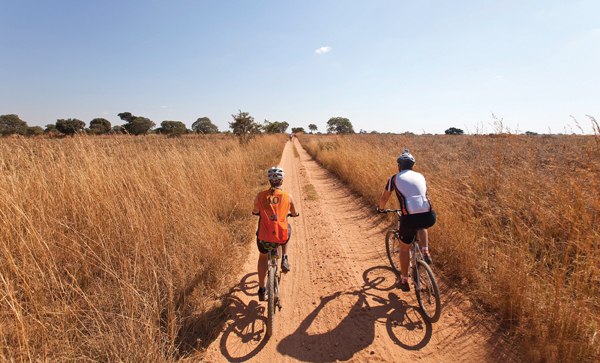 Also open for sign up now is the Great Victoria Falls Bike Ride, taking place in July, and while the seven-day cycle will be pretty challenging, the fact it ends at one of the world’s great wonders is bound to be a motivation. Participants will be raising funds for ZamScotEd, an amazing charity which currently runs the Mthunzi orphanage for former street kids, and is building a school on the outskirts of Zambia’s capital Lusaka. Sound good? Sign up and you’ll get access to a host of free training classes and fundraising support, as well as a whole new group of philanthropic friends. We’ll see you there.